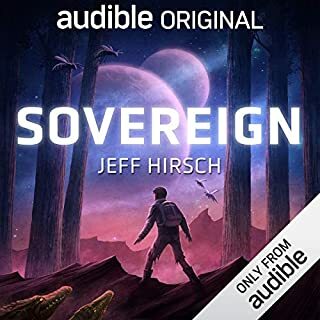 Four hundred years in the future the Earth has turned primitive, following a nuclear fire that laid waste to civilization and nature. Though the radiation fallout has ended, for some unknowable reason every person is born with a twin. Of each pair one is an Alpha - physically perfect in every way - and the other an Omega burdened with deformity, small or large. 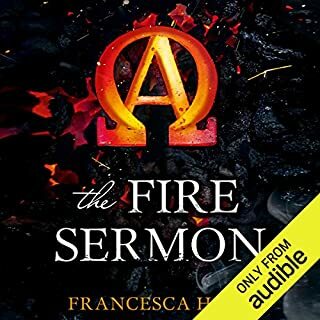 Book Three in the critically acclaimed The Fire Sermon trilogy - The Hunger Games meets Cormac McCarthy's The Road in this richly imagined postapocalyptic series by award-winning poet Francesca Haig. 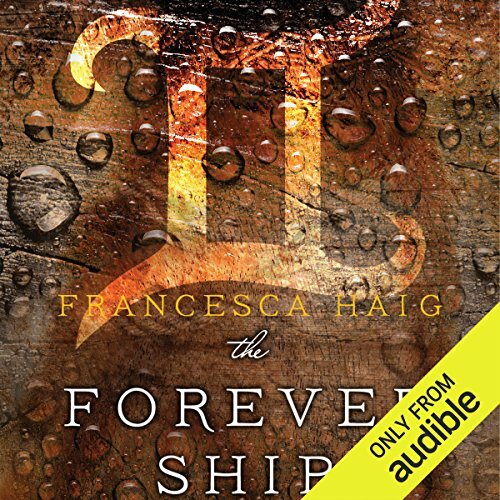 ©2017 De Tores Ltd (P)2017 Audible, Inc.
"Haig's prose is gorgeous and engaging, particularly when she describes the desolate landscape, now peppered with ruins from the Before. 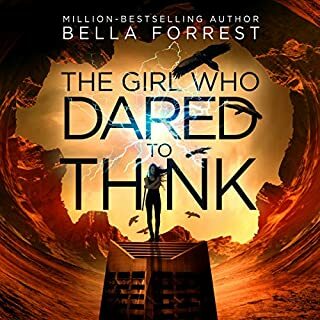 Fans of dystopias will appreciate this adventure-filled yet character-focused tale that offers hope and explores (in a refreshingly nuanced way) the moral complexities involved in defeating an oppressive and backward government structure." (Booklist). The third book in the series is by far the best one. I still didn't like the main character but the story and writing had improved. I can see why the series was well liked by critics. My husband and I listened to the entire Trilogy together on our vacation(s) trips. I felt the series was good, and it kept both of us entertained. There was resolution to the most all of the issues that had been presented throughout the series. And while it was not exactly a happily ever after for all, the ending did fit with characters and choices that they made. 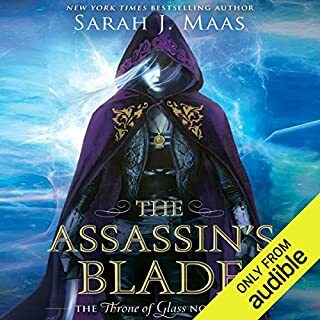 I feel this would be a great series that could be listened to by a family with enough to keep ages pre-teen to adult engaged and entertained. 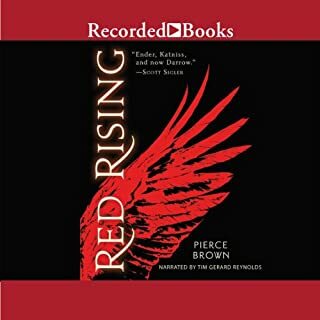 The third and final novel of the Fire Sermon involves the resistance's struggle against the council, their quest to save omegas, and them trying to prevent several awful acts by the General and Zach. 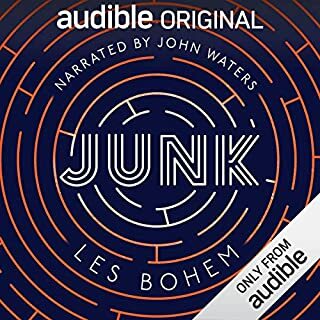 Plot-wise, the book was pretty good and kept me listening to see what happened. However, the book is just too full of filler. The book could have been cut in half and have been much better. There is way too much whining by Cass, arguing over stupid stuff, Cass flying off the handle if someone doesn't agree with her, etc. The motivations and actions of Zach never really made much sense. There is this big thing everyone is trying to prevent the council from doing to elsewhere, and the motivation there never made any sense either. About half-way in the novel there is a huge deal made about what happened to a seer called Xander, and it just fell flat because the author never bothered to try to get us to actually care about Xander. Throughout the novel Cass always holds suicide as a weapon over Zach, but it was pretty much a waste of time because Cass was way too selfish to ever put an end to herself to save thousands of others. Also there is a big deal made about the council using old technology, but its a bit unrealistic to expect any technology to survive the elements after 400 years, and very unrealistic that people of that era would be able to figure out anything about how to use said technology. I will also say the novel went on one chapter too long...it just have ended at the end of the previous chapter and would have had a perfect ending. So in the end, I found the plot interesting but the characters annoying and not ones I would care about. This book ended up being middle of the road: not horrible, but not good either. NOTE: I got this book for free in exchange for an honest review. Good, but not as good. I liked the series, but would have enjoyed a different ending. Destopian futures can be better when the good guys win.